AFMC institution provides with the admission to seek in B.Sc. 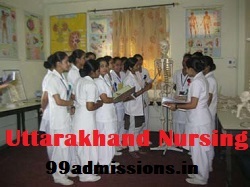 in nursing as well as GNM B.Sc Nursing course. 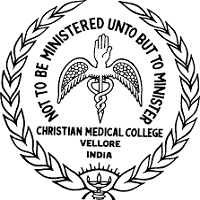 AFMC is shortened for Armed Forces Medical College which is one of the most known institutions of India. Candidates need to go through the written examination and an interview test for seeking admission to the AFMC nursing course for 4 years. Ensure for collecting detailed information in order to avoid all the inconveniences, before applying for the entrance examination of AFMC Nursing Exam 2019. Candidates can fill the application form of AFMC Nursing Exam 2019 from 12th November 2018. For all the details related to the AFMC Nursing Exam 2019, read the article below carefully. AFMC Nursing application process has started candidates can apply online. Application link is given in below section. Candidate should have passed 10+2 examination with physics, chemistry and biology subjects in the first attempt with not less than 50% aggregate marks in final exams. Candidate should be medically fit and the fitness will be checked by the Medical Board of Military Medical officers. Lower Age Limit: The minimum age limit of candidates will be 17 years. Upper Age Limit: The maximum age of the candidate will be 25 years. Candidates can apply online by using the link given here. It is crucial to fill the details in the form in the systematic and accurate way. Any wrong entry may cause cancellation of the form. Make sure for submitting the documents as well, while submitting the form. It is important to enter the valid email address which will work as User ID later. Applicant needs to pay the application fee as well. There are several payment gateways, use the apt gateway for filling the form. Incomplete application, submission of more than one application, non -payment of application processing fee will lead to the rejection of the application form. The application fee will be paid online only. All the eligible candidates have to pay Rs. 150/-. While submitting the application online, the details of payment will be known to the candidates. Receipt of DU Number is not the criteria for successful payment. Take the printout of the Payment Receipt. Applications sent by post will not be accepted. The availability of the admit card will be in the 3rd week of December 2018. Ensure to make use of the online mode to obtain the admit card for AFMC Nursing 2019 written test. By entering the registration number and date of birth, the candidate is required to download the admit card. Agra, Ambala, Bangalore, Coimbatore, Thiruvananthapuram, Ezhimala (Cannanore), Chennai, Danapur, Dehradun, Delhi, Guwahati, Jalandhar, Jhansi, Kochi, Barrackpore, Bhopal, Chandimandir, Kirkee, Kolkata, Kanpur, Lucknow, Meerut, Mumbai, Namkum, Jabalpur, Jaipur, Jammu, Secunderabad, Pune & Vishakhapattnam. The result declaration will take place most probably in the 1st week of March 2019. The result for the written test will appear on the main website. A separate merit list will be created according to the category, after appearing of the result. Based on the merit list based on the medical checkup, written examination, and interview the selection will be done. Candidates will be shortlisted for next round i.e. interview and then will move for medical examination before SMB. The final selection will be done on the basis of written test score, interview, availability of seats, medical fitness, etc for admission. Prepare a time schedule and give equal time to each subject & section. Study thoroughly your NCERT books and clear your basic concepts in all the subjects. Candidates must solve the last 4-5 years question papers & model papers and candidates can also consult reference books for practice.